A single-channel video installation that speaks from the position of the Sikh diaspora, considering how the bordering of land and transgenerational trauma creates powerful notions of nationhood and aspirations for a homeland that individuals themselves or their foreparents migrated from. 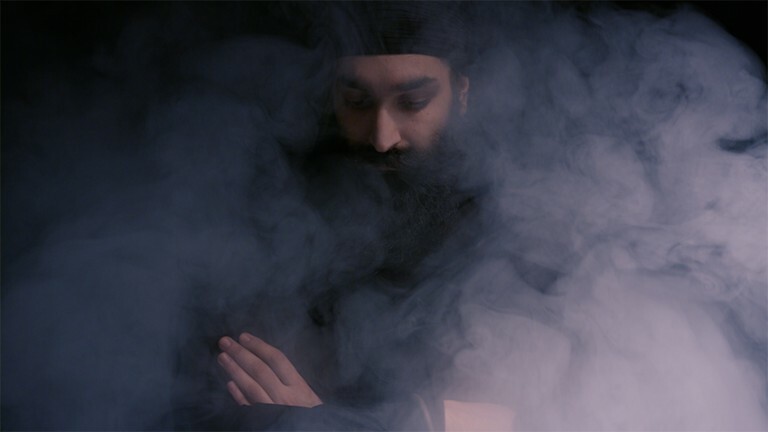 Through tracing genealogies of South Asian music as a form of resistance, from anti-colonial Punjabi folk through to the 80’s Asian Underground scene, Kaur works with Jagdeep Singh Mahoon, a rapper and activist who uses voice as a political tool. His featured track Land In Half responds to the partition of India, specifically its effects on Punjab, and the ongoing repression of Sikhs living there, where military operations violently eliminate Sikh activists from political discourse. 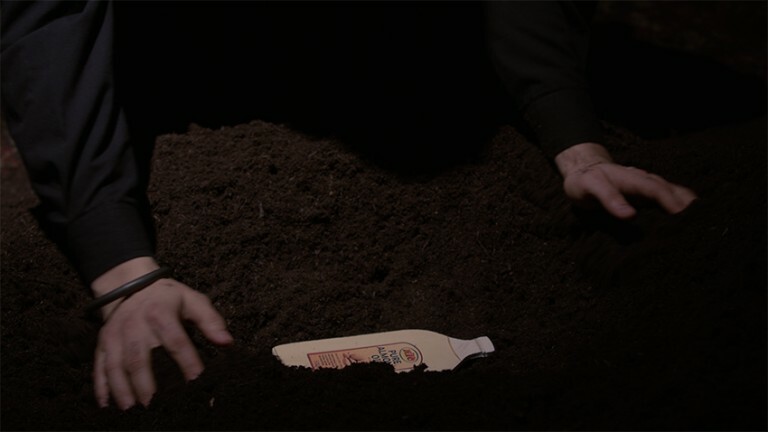 He digs up and replants objects of home from the soil, symbolic of the continual labour of unearthing traumas and hidden histories in order to understand and fight for one's position in new and old home lands. 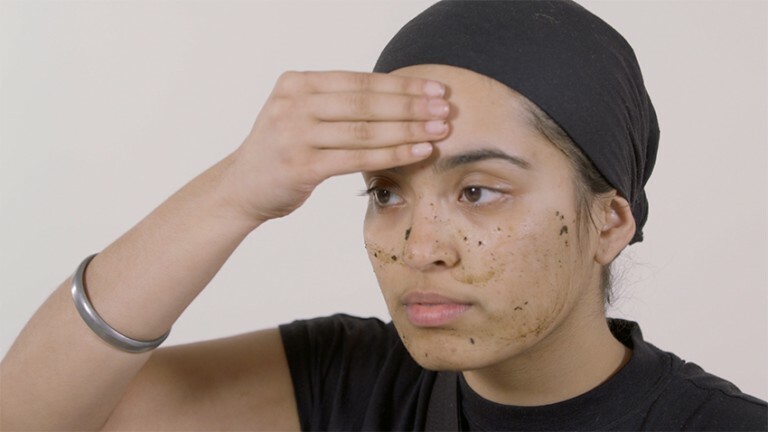 In a domestic space, familial and historically significant photographs are upturned and nutritional coach Jaspreet Kaur applies ancestral soils, oils and tinned saag to her face in a YouTube style tutorial. As a vlogger it is through online platforms that she reaches out to women in the diaspora, promoting the health and wellbeing of our bodies through practices that are decolonial and non-pharmaceutical. Interrupted with quotes by women of colour from the text Revolutionary Mothering: Love on the Front Lines, the home place is spoken of as a site of recovery and resistance, sustained by the hands of women, gesturing towards the invisibility of women’s voices and non-masculine forms of resistance.